Location: Wells Fargo Bank – 3216 West Braker Ln. 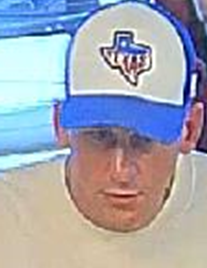 The Austin Police Department (APD) Robbery Unit and the FBI Central Texas Robbery Task Force are investigating a bank robbery that occurred on Saturday, December 1, around 11:35 a.m., at the Wells Fargo Bank located at 3216 West Braker Lane. 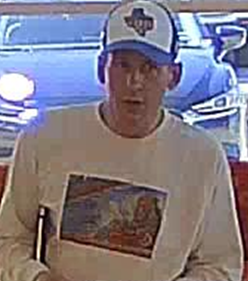 The suspect approached the teller and passed a note, demanding money before leaving the scene in a white SUV. No injuries were reported during the robbery. APD is asking for the public's assistance in identifying this suspect. A photo and description are provided below.